Last week, I wrote about a brewing controversy at Newman Hall Holy Spirit Parish in Berkeley regarding the dismissal of two beloved priests — one who has spoken openly about being gay. 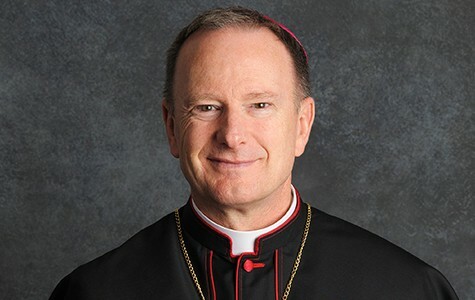 The concern from some parishioners at the progressive Catholic church was that Michael Barber, the new bishop of the Oakland Diocese, had a more conservative agenda and was seeking greater control of Newman Hall. When I was working on the story, an Oakland Diocese spokesperson said that Barber was away on a retreat and unavailable for comment. The bishop, however, also had not offered any public statements to parishioners about the dismissals — and had not responded to the letters of concern some had sent to his office. Today, more than three weeks after the parish first learned of the dismissals, the Diocese of Oakland sent out a press release officially announcing the two replacement priests, with direct commentary from the bishop. Unsurprisingly, the message this afternoon did not directly address the backlash surrounding the dismissals of Father Bernard Campbell, Newman Hall pastor, and Father Bill Edens, the campus minister who is openly gay. Officials presented the news as a joint announcement of the Diocese of Oakland and the Paulist Fathers, the Roman Catholic order that has run Newman Hall for more than a century. This is noteworthy given the fact that, in addition to concerns about Barber's conservative leanings, some parishioners feared that the bishop was taking an unusually active role in ordering these priests to be moved elsewhere. (Typically, the leadership of the Paulist Fathers makes these decisions and the bishop approves, the critics said). I am impressed by the Paulists’ selection of these men. I look forward once they are in place to a discussion of my vision for their ministry. Pope Francis is guiding us to expand our mission to “the periphery.” I believe this should lead us to totally reinvigorate our evangelization efforts to the University community. I’m convinced from my experience at Stanford, Boston University and Oxford University that there is no reason Newman Hall/Berkeley cannot attain world-class status for what is already a world-class university. As my original story noted, when Campbell had first told the parish that he and Edens would be replaced, he said that it was an order of the bishop and pointed out that Barber had expressed his desires to the Paulist Fathers to see a "major redirection" at Newman Hall. This vague statement left parishioners to speculate what Barber might be planning and what he thought needed to change; the bishop's statement today seemed to offer a bit more specifics, though likely leaves a lot of questions unanswered. Some of the tensions at Newman Hall have also surrounded concerns that Barber could be looking to prioritize serving UC Berkeley students over longtime community members. Similar conflicts have arisen in other churches with close ties to university communities. The bishop's statement today appeared to suggest that his "vision" for Newman Hall in Berkeley may be focused on the parish's relationship to the UC campus community. The announcement today also included details on the two new priests, who will start in July. Father Ivan Tou, an Indiana native and former pastor of the Newman Center at the University of Minneapolis, will step up as a pastor in Berkeley. 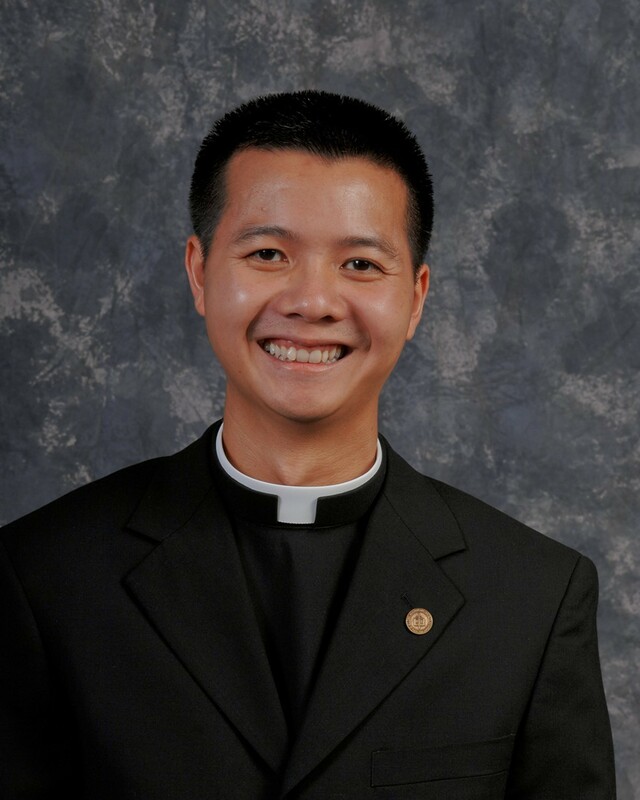 Father Dat Tran, a UC Berkeley graduate who was ordained in 2011, will step up as an associate pastor here. OAKLAND, Ca. — March 11, 2014 — The Diocese of Oakland and the Paulist Fathers announce new pastoral leadership at Newman Hall/Holy Spirit Parish in Berkeley, to be installed the end of July 2014. Fr. 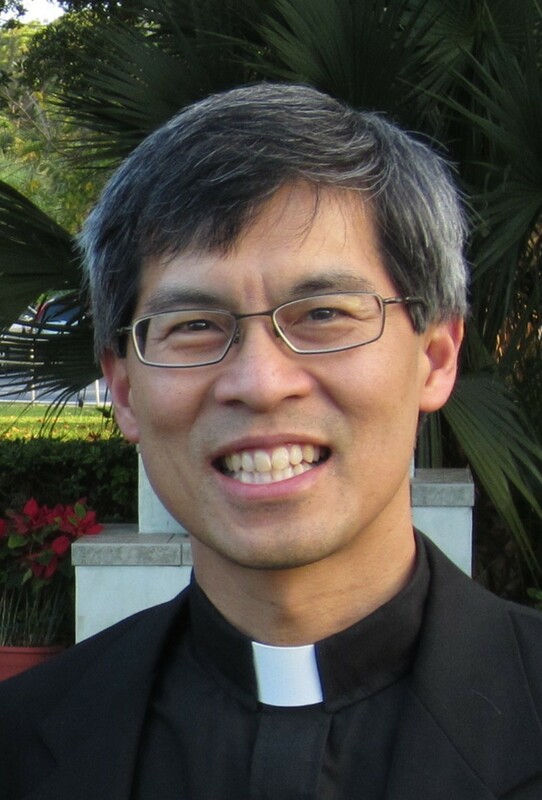 Ivan Tou, CSP is named pastor and Fr. Dat Tran, CSP is associate pastor. Fr. Tou, 54, was born in West Lafayette, Indiana. He was ordained a Paulist in 2002 after having spent a number of years working at Hewlett-Packard Labs in Palo Alto. He has undergraduate and graduate degrees from the Massachusetts Institute of Technology, UCLA and Catholic University. Among previous pastoral assignments Fr. Tou was pastor of the Newman Center/Parish at the University of Minneapolis, associate director of the University Catholic Center at UCLA and associate pastor at Old St. Mary’s Cathedral in San Francisco. Fr. Tran, 34, emigrated with his family from Vietnam at the age of seven. He graduated from UC Berkeley in 2004 and says his involvement in campus ministry at Newman Hall/Holy Spirit led him to enter the Paulist novitiate. Fr. Tran was ordained in 2011. Paulist President Very Reverend Michael McGarry, CSP says about Frs. Tou and Tran’s assignment to Newman Hall, “We feel that they are two outstanding priests who will bring very special gifts to the ministry.” Paulist Fathers have ministered to Catholic students, faculty and staff at secular colleges across the country for more than 100 years and have been at Berkeley’s Newman Center since 1907. The Diocese of Oakland is comprised of 84 parishes, 16 pastoral centers and other diocesan offices, 45 elementary schools, nine high schools, two Catholic colleges and several schools of religious formation. The Catholic Church is the largest provider of social services in the East Bay, delivering shelter, meals, counseling, education and other critical services free of charge to over 400,000 people of all faiths each year. For more on Newman Hall, check out last week's print story, "Gay Priest Ousted By Conservative Bishop."